Kayla Wolf - for Shaw Media Cliff Fandrich, far right, walks away from his demolition derby car Sunday, Aug. 6, 2017, at the McHenry County Fair in Woodstock. 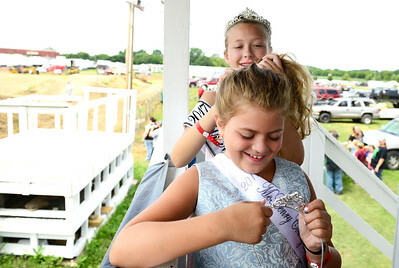 Kayla Wolf - for Shaw Media Prior to the demolition derby at the McHenry County Fair Junior Miss McHenry County Isabella Novalinski does the hair of McHenry County Princess Dominique Tomasello Sunday, Aug. 6, 2017, in Woodstock. The fair pageant winners welcomed the crowd to their derby and watched the events of the day. 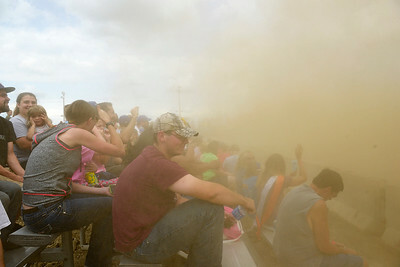 Kayla Wolf - for Shaw Media A cloud of dust rolls over the crowd during the demolition derby at the McHenry County Fair on Sunday, Aug. 6, 2017, in Woodstock. 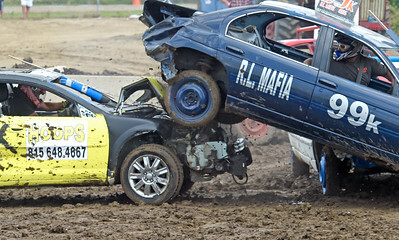 There were two demolition derbies on Sunday a 1 p.m. and a 5 p.m. show. 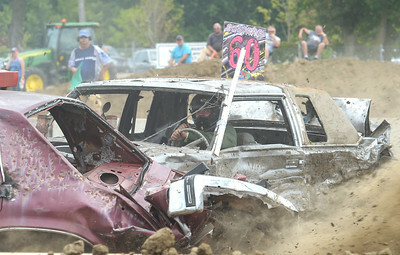 Kayla Wolf - for Shaw Media Demolition derby driver Paul Finefield crashes into another car Sunday, Aug. 6, 2017, at the McHenry County Fair in Woodstock. 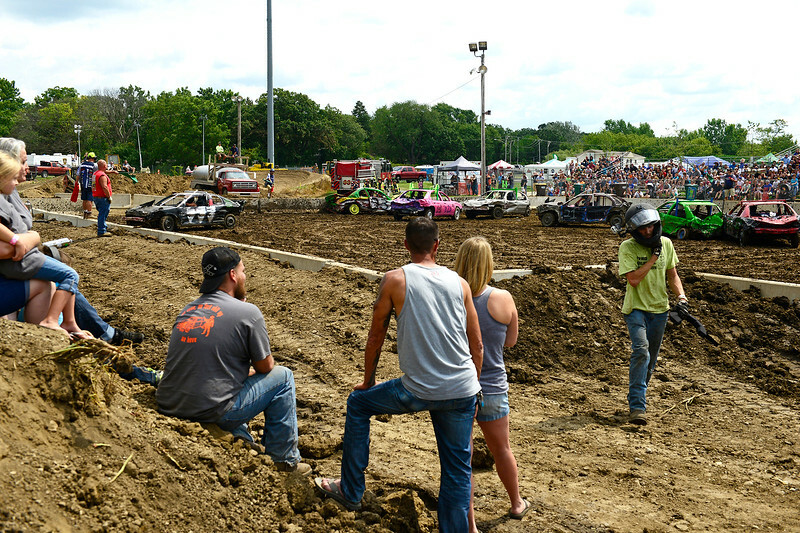 Kayla Wolf - for Shaw Media Jeff Frandrich of Ingleside talks with a demolition derby official Sunday, Aug. 6, 2017, at the McHenry County Fair in Woodstock. Frandrich came in third during his heat of compact car competition. 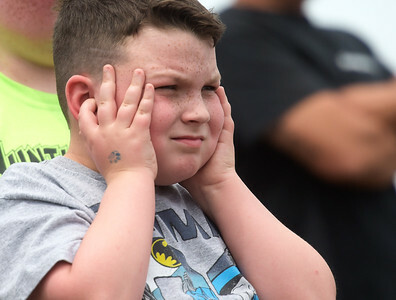 Kayla Wolf - for Shaw Media Nathan Gribbon plugs his ears Sunday, Aug. 6, 2017, during the afternoon demolition derby at the McHenry County Fair in Woodstock. Kayla Wolf - for Shaw Media Demolition derby drivers Keith Whittington, right, and Dante Clemons compete Sunday, Aug. 6, 2017, at the McHenry County Fair in Woodstock. Cliff Fandrich, far right, walks away from his demolition derby car Sunday, Aug. 6, 2017, at the McHenry County Fair in Woodstock.